Back in the end of May & beginning of June, I was in EUROPE. (Yeah, yeah... I still have to post photos from it. SORRY. I will! I promise! I have, uh, thousands.) 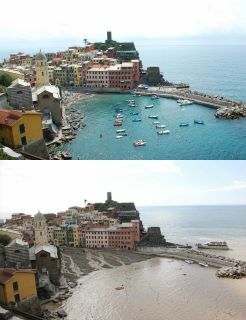 For a few days, we stayed in Cinque Terre, more specifically Monterosso . 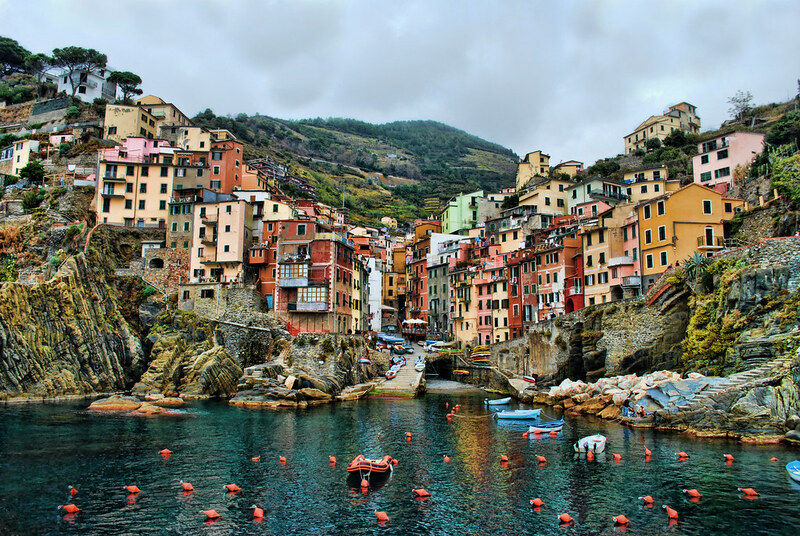 Cinque Terre & Paris were my two favourite places of the whole trip. I'm sure you have seen at least one photo of one of the five villages while stumbling around on the internet. 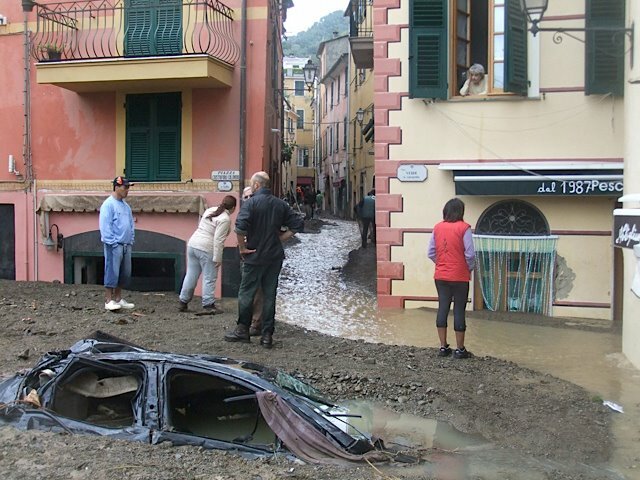 A few years ago, my background on my old computer was a photo of Vernazza. At least nine people have been killed and five others are missing after flash floods hit the Italian Riviera turning roads into rivers and washing cars out to sea. 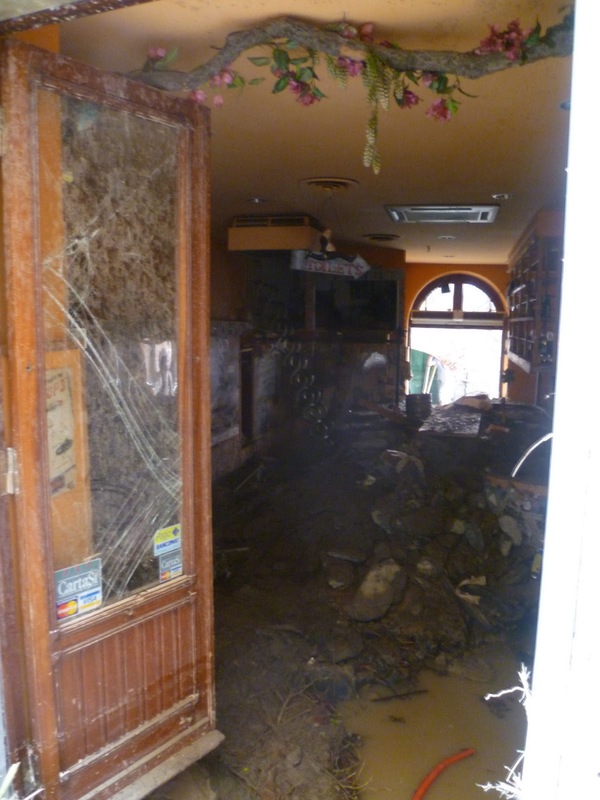 The initial death toll was raised as the body of a missing rescue worker was recovered from the town of Monterosso. 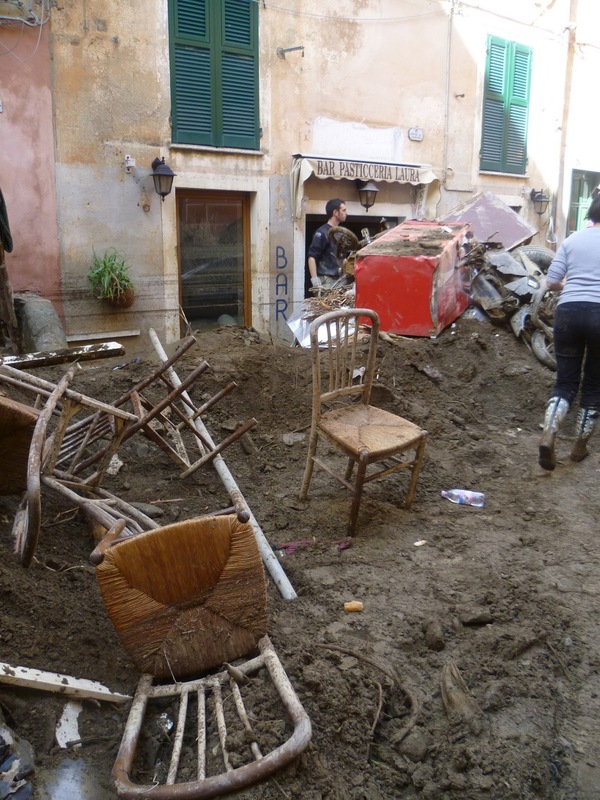 Officials said Sandro Usai, 40, had drowned after being engulfed by flood waters as he tried to unblock drains in the town. 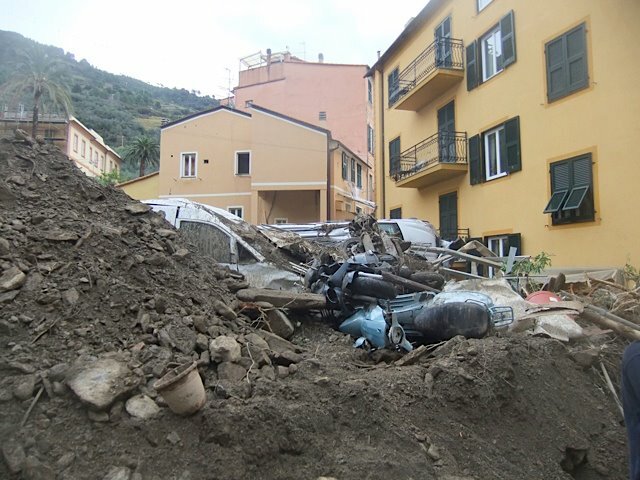 The huge downpour had triggered off landslides along some of Italy's most picturesque coastline, including the Cinque Terre which is a popular destination for British holidaymakers. Fire crews and civil protection teams worked their way through the flood-ravaged towns of Vernazza and Monterosso where cars were washed into the sea and roads turned into rivers. Distraught mayor Angelo Betta said: ''Monterosso does not exist any more. Elsewhere dramatic TV footage from along the coast showed traditional wooden boats reduced to matchsticks as they were thrown by the force of the waves onto the rugged rocks along the shore. Officials said that within a 24-hour period, 500mm of rain had fallen and this had led to houses collapsing and roads and train lines subsiding. The main railway line linking Rome with the north of Italy was blocked by a landslide north of La Spezia which meant all trains to Genoa were terminating there and there was further chaos for passengers as roads were blocked. 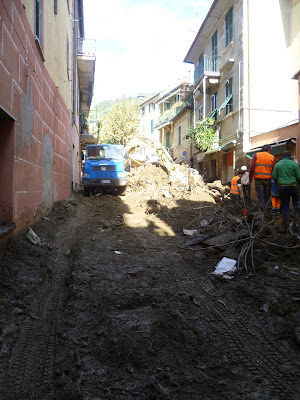 Only fire engines and emergency vehicles were being allowed through into the minor roads in the mountains that link the worst hit villages for fear of further lethal landslides. Helicopters will be brought in to help with the rescue effort and an air bridge set up to send in supplies with the army put on standby as part of the rescue efforts. It's so crazy to see these places that I recognized just destroyed. On her blog she shares ways of how you can help here. Oh wow! Those photos at the top are so amazing and beautiful! What a shame about the flooding, that's so terrible! please post your europe photos!! i want to travel europe SO badly and would love to see them! also...YOU WON THE DAVIDS TEA GIVEAWAY!! what are the chances?? i said in my blog post, must've been good karma for doing a giveaway ;) i know you'll enjoy it!! send me an email to dear.love@live.ca so i can pass on your info to erin! I had no idea it had flooded there. How tragic. Off to check out your link on how to help.